The HTML appears on the left side and the CSS on the right. You can edit the HTML and CSS in the dev tools to immediately see how it looks on the page, and then you can copy the code into your actual files. 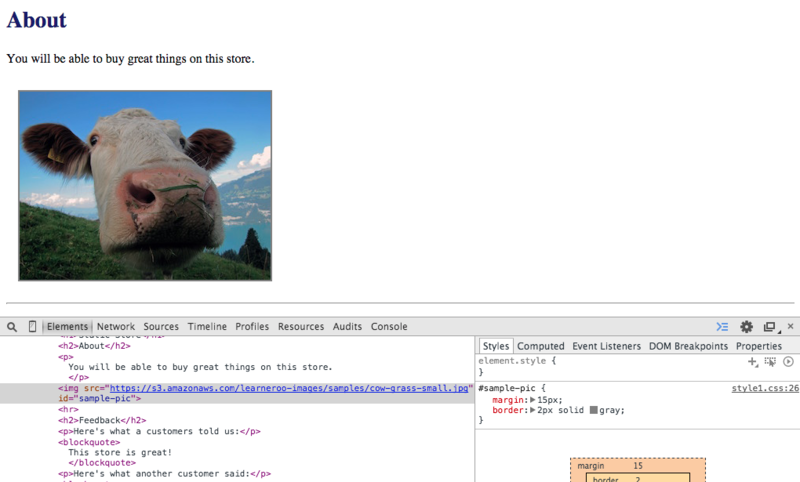 See CSS conflicts for more on the dev tools. As mentioned in Creating Web Pages, Adobe Brackets is a good text editor for coding HTML and CSS. Brackets can also be connected with your browser so you can view a live preview as you code. Tools to Create Sites discussed some tools that let you create sites with coding. You should use a tool that lets still you edit the code when needed, such as Microsoft's Expression Web (which is free but no longer developed). There are also many online tools, such as Jetstrap for developing sites with the Bootstrap CSS framework.